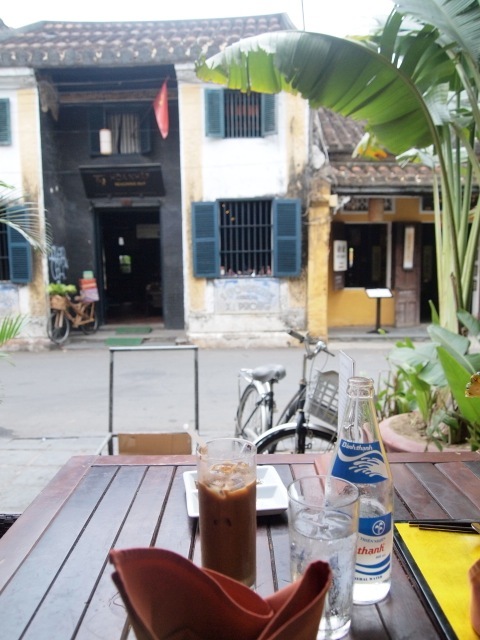 It was love at first sip, and for the remainder of my trip, my drink order was always a glass of cà phê sữa đá, much to the amusement of my dining companions who were all drinking Vietnamese beer. Cà phê sữa đá is served just about anywhere, even the trolley service on the train serves up a pretty decent brew, and you can get it with any meal of the day (Yay!). 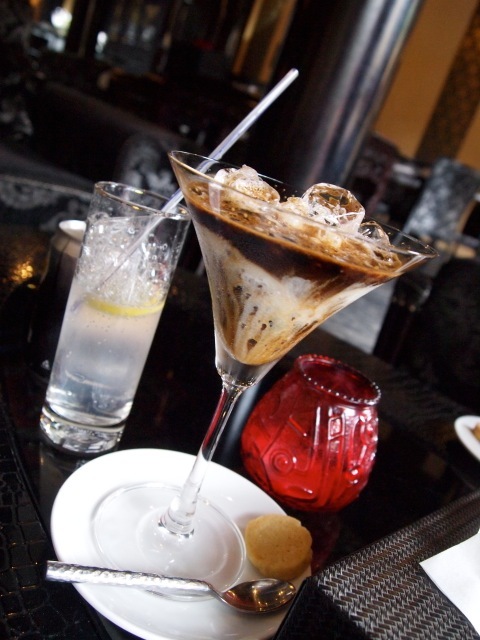 The coffee culture in Vietnam is entrenched, and there are many cafes serving the needs of the coffee-obsessed population. The Coffee Bean & Tea Leaf, Trung Nguyen, Highland Coffee and Starbucks chain of coffee houses all make an appearance in the main cities. Here’s how to make cà phê sữa đá at home. 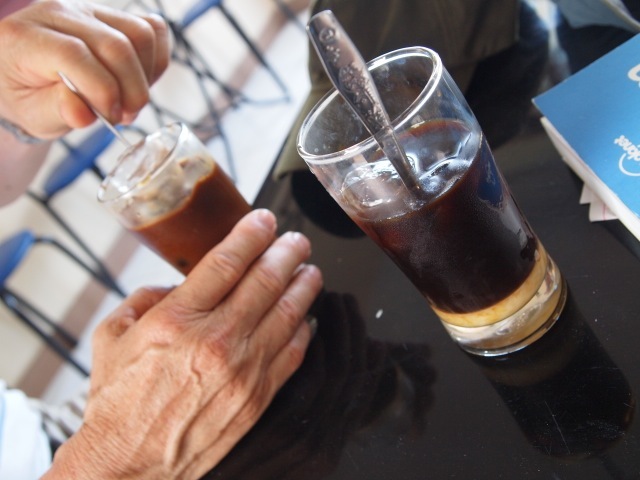 You’ll need some Vietnamese ground coffee (I used Trung Nguyen’s house blend), sweetened condensed milk, lots of ice and a single-cup metal French drip filter (cà phê phin). A small french press is a good substitute. Put a tablespoon of condensed milk in a glass. To use the phin, warm by swirling a little hot water through, put in a large tablespoon (~20g) of coffee, tamper well, then pour ~20mL of hot water, and let it drip for 5 minutes. Add ice, and stir well. Enjoy!